A member of the Access and Retention Team, Beth works closely with WP to support care-experienced students. Beth's role is to be a regular single point of contact for all care experienced students at City – students who have spent time in local authority care – to help them access appropriate support services, and advocate on their behalf to internal and external organisations (such as their local authority). 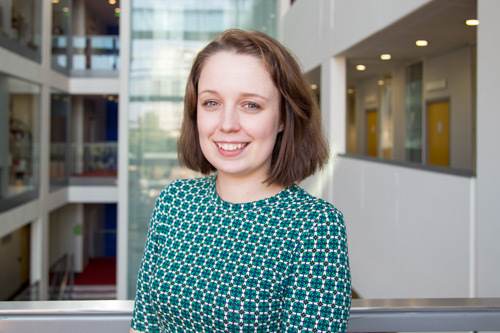 Prior to starting at City, Beth studied English Literature at Kingston University where she worked alongside her studies as a Student Ambassador, Fundraiser, and Library Assistant. Her favourite type of work was with the Widening Participation Education Liaison Team, where she worked with young people aged 8 to 18 from backgrounds typically underrepresented within Higher Education. As a care leaver herself, she's worked a lot with care experienced students. She is passionate about making a difference to each of these students who may have little support outside of the university, and who have already overcome so many challenges to get here in the first place.